Charly Wrencher is a London-born artist who has called Australia home for 30 years. He attended the National Art School in Sydney. A keen surfer, he now lives in Byron Bay where, according to Charly, he has always wanted to be. He and his wife, four children and extended family reside on a 68-acre property that is a constant source of inspiration. He is a prolific and successful painter and shows his work nationally and locally. Charly in his studio in Byron Bay. Photography by Natalie Grono. Nadine. Have you always drawn and painted? Charly. Yes, always. From a very young age, there were unlimited supplies of pencils, charcoals, paints, unlimited supplies of paper. My parents were never precious about it — they didn’t mind if we made a mess. I moved to Australia from London when I was 11. My brother reacted by becoming very physically active and I responded by drawing and painting obsessively. I couldn’t believe how much space there was. Nadine. Sounds like your parents were quite artistic themselves. Charly. Yes, my father was a photographer and art director. There were always layouts and storyboards lying around the house. My mother drew and painted and was forever going to to life drawing classes. I basically grew up in a photographic studio and on film sets. So, they were very relaxed about it all — not in the least bit precious and never critical. Nadine. Many would envy you that one! So I suppose that the idea of an artistic career was acceptable? Charly. Yes, totally. They encouraged me in all sorts of ways and my first work experience at the age of 16 was with Mick White, the leading advertising studio in Sydney, doing layouts. It was a great experience but I knew pretty quickly that it wasn’t what I wanted to do. I knew that I would never enjoy working to a brief and that I needed much more freedom to express myself and so I set my sights on going to art school. I applied and got into the National Art School and went there straight after school. I was there for three years, discovered oil paint, how to be very expressive, how to structure drawings and go from conception to execution; the fundamentals of becoming an artist in other words. Nadine. They really teach you how to draw at the National Art School too. How has that influenced you? Charly. Drawing had always come easily to me. I was a natural. Nadine. You say you were naturally able to draw — this is something that intrigues me. The notion of natural propensity, the role of hard yakka… Can you say more about it? Charly. I recently found a drawing I’d made of a car at the age of four. It’s obviously a child’s drawing but it has three-dimensionality. Most kids at that age draw flat pictures but this had dimension. I really do think it came naturally. Nadine. Well, you must have enjoyed it and been encouraged too. Charly. Yes, for sure! My parents encouraged me all the way. All the same, I recently read that the happiest people are accountants and the most dissatisfied are the artists. They challenge things, they need to express things. I’ve always been one of them. Nadine. Anyway, big business now turns to artists for inspiration and out-of-the-box thinking, and apparently some of the biggest ideas are introduced into the sciences by artists. Coming back to you — your current work is, and for as long as I’ve known you, has been landscape based. Have you always been a landscape painter? Charly. No way! When I was young, that wasn’t cool at all. I wanted to be the next Australian expressionist artist. I was rebellious and political. Last thing I wanted was to be a landscape painter. Nadine. Not edgy enough, not confronting or political enough? Charly. Exactly. But then I did a huge road trip around Australia and I was absolutely bowled over. Superficially, my work is about the landscape. But I put everything in there. My political views come through in my gestures. Just as everything does. If I get annoyed with the kids, I pour it into the marks. If I see yet another house on the horizon I’ll rant and rave about overdevelopment, but I put all that energy into the painting. Every mark is a working through, an expression, a way of making sense of things, of reaching resolution. Nadine. We talk a great deal about process in the art world. Do you think of yourself as process-driven, or are you focused on the outcome? Charly. I never have a finished product in my mind, if that’s what you mean. I like to throw in bright colours, a surprise line here or there, and one step, one mark leads to the next. I never start with a palette. It’s all very organic. Nadine. Interesting. I often speak to artists who tell me it’s important to start with a palette, often a very reduced one. Charly. Not me - I get bored too easily! I like the physicality of painting. The spontaneity. I like to work very close to the painting, so that it looks good, even when you step quite close to it. And of course, it has to look good from a distance. It’s not pre-planned but it is fully conscious. I am completely present with the work. So in that sense, you can say that I am completely in the process. Nadine. Your paintings are very large – the mind boggles! Charly. Yeah – I worked out that a large painting costs me $1000 just in materials. Nadine. You paint outdoors these days. What does that change? Charly. I don’t get a headache! Plus being a landscape painter, it makes much more sense to be outside. Nadine. Do you paint from memory, life, photographs? Charly. Never from photographs. I can always tell when someone does. It’s always flat. Nadine. Your painting is more left field, more intuitive, more emotional? Charly. Yes, absolutely. Also, I have great views from my deck and that gives me reference points and inspiration, and makes the experience really alive. And it encourages my kids to get involved. One of them, Khan, is always telling me what he thinks works and what he thinks doesn’t. He keeps me on my toes! Charly. Too long a list. The classics — Leonardo, Rembrandt. I was influenced by David Hockney in my early days. I have no art books in my studio. It’s too easy to be a sponge and then I lose me. So I don’t have too much around to influence me. I like to keep my head clean. Nadine. It’s interesting because these days, and probably always, everyone is so concerned with who’s who, who exhibits with whom, and where people position themselves. How do you feel about all that? Charly. Well, I was a finalist in the Wynne Prize in 2000 and in the Salon Des Refuses the year before that but it just made me quite cynical about the whole game and and I didn’t respect the judges’ choices, so I decided to go it alone and I’m much happier that way. I found that I wanted to paint for its own sake. Painting is its own reward for me. It’s my life. Nadine. You love to surf. Does that influence you? Charly. I’ve got a lot of energy and I need to burn it off. Watching the sunrise, taking in the landscape… riding the wave sure does influence me. That movement is all part of what I bring to the painting. When I surf, I’m immersed in the living landscape, and when I paint, I’m immersed in its painted representation. I can’t imagine life without one or the other. BAM visited Gatya Kelly in 2016 - just prior to her leaving for an artist residency at the prestigious Hill End, whose first wave of artists included Margaret Olley and Russell Drysdale. While her paintings may seem redolent of Old Master still lifes, she asserts the similarities are limited. The reality is far more delicious. Alana. What draws you to your subject matter? Gatya. In 2009 we went to Tuscany. We were there for winter, for five months. And I wanted to paint there. I didn’t normally paint very much when we were travelling, because we were in a van, and it wasn’t really conducive to working with oil paint. But there, we were staying in this one amazing house for five months, and so I set up a studio in the house. And I didn’t have a lot of equipment, or really anything there — I had a very, very basic set up. And I just thought, well, what can I do here that works, that relates to where I am, but practically is going to work for me? Most people in that situation will paint the landscape, because it’s truly phenomenal. But I’m not drawn to that. I’m not a landscape painter … I mean I love it, and I appreciate it, and I walk in it … but I’m not drawn to it as an artist. So I started to look around me … it was winter so there was a lot of dried up leaves and crunchy things, and these fruits like pomegranates and persimmons, walnuts and chestnuts … So it ended up being 14 paintings that I painted over that five-month period, in a particular still life style. A bit more contemporary looking than this series, actually — lighter backgrounds and so on. And so really it was not so much that I’d said that I wanted to do still life, it was because I was in this certain circumstance and that’s what I could paint in that situation. It was a wonderful old Tuscan farmhouse, so there were all sorts of vessels and things there, so that I was able to arrange all these compositions. I like the authenticity of working with things that are real and are actually in my environment. It’s not so much coming from my imagination, or derivative, but it really relates to my circumstances … I’m directly relating to these things right in front of me … It’s authentic to me. That matters a lot. Alana. Do you find that you are drawn to details? Gatya. I am. I enjoy figurative painting, because I guess I get a kick out of seeing something come to life on the canvas. I actually really get a kick out of that, personally. Gatya. Yes. So I like to see that metamorphosis. Again, that’s a personal thing. People often refer to the detail … there’s careful painting, but it’s not meticulous in a hyperrealist sense. It’s actually quite rough. If you get close up … somebody used the word contemporary recently. It’s quite loose — even though the overall effect is of something that’s quite tightly controlled and designed. So that’s also something that I enjoy, to have a certain lack of tightness in a painting, while it has this three-dimensional, realistic quality. Alana. What is it that you aim to portray in your paintings? Red Chilli, Rose Garlic. 2014. Oil on canvas, 91cmx91cm. Gatya. What I aim to do with the paintings is to get a response from people. What I love is when somebody looks at a painting of mine and they go, wow … That exhibition was titled Luscious because it was all this luscious, yummy, succulent stuff, and people respond to it that way … there was one woman who was looking at the strawberries, and I felt like I was going to have to stop her from licking the painting. You know, when they’re engaging with it so much that they’re actually experiencing it as the real thing. A lot of people say, “I want to eat it, I want to smell it, I want to touch it” … I love that that’s the response to the work, that they’re seeing it beyond a painting, that it’s actually doing something … really connecting very deeply inside at that level where they’re just reaching out for it. That’s very pleasing to me. Alana. The detail, depth and perspectives in your paintings are incredible. Do you incorporate photography as part of your process? Gatya. I do. I use photography. I go to quite a lot of trouble at that stage. I guess because of my design background, I think of paintings as designed — they’re not spontaneous. They’re put together in a very deliberate way. So they’re designed, they’re composed, they’re constructed. And when I’m sure that I’m happy with what I have, then I start to paint it. Maganolia Raphaella, 2015. Oil on canvas, 45x45cm. Alana. How do you arrive at your compositions? Gatya. Often it’s what’s in season. These magnolias that I’m painting come from a tree at Brunswick Heads that I drive past when I go to the beach. So if I see that tree and think, I have to paint that, it’s almost like an obligation to paint it … and then it’s like, that means I’ve got to do it now, because it’s not going to be there in a week’s time. So it’s generally driven by the subject matter itself, in the case of these paintings. I’ll see a pomegranate somewhere, or somebody will lend me a beautiful bowl … that’s usually the initial inspiration. And from that I build what I feel goes with that first key element. Alana. So it’s not about symbolism? Gatya. It’s not, but this one — which is called Magnolia Vanitas … Vanitas paintings were something that were done, I think, in the 16th and 17th centuries … Flemish and Dutch master painters … the whole still life tradition is very interesting and meaningful — it’s not really about just painting what I’m doing, painting things in front of you. Originally it was very symbolic, and the Dutch had this Calvinist Christian thing going on, so they had a lot to say about money, and wealth. So paintings were allegorical — they meant something to the people who were viewing them then. They didn’t have photography, and so on. So they served that function, that they don’t today. So vanitas paintings were to do with the vanity of life, the inevitability of death, that vanity is futile, basically … So those paintings — you would have seen it — they often have a skull in them, or a flickering candle. There are certain elements that occur in these paintings, so there is something dead, something that represents knowledge or the arts, something that represents wealth … So, I put this painting together, and I’m painting it and thinking, somebody is going to ask me, what does this mean? And I thought, maybe I can concoct a story retrospectively, because actually I didn’t have one. And I was looking at it and I thought, it’s a vanitas painting! And I checked it out, and all the elements were there … I liked that about it, that it was an allegory for life and death. But generally they’re not. Generally, they’re just bowls of fruit. Fig Paradiso, 2015. 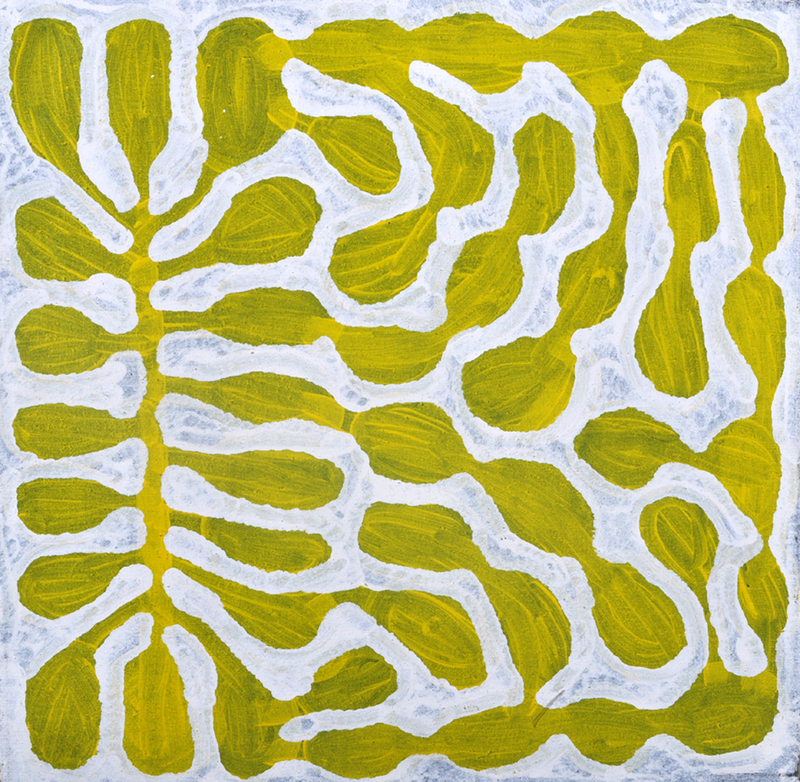 Oil on linen, 122x122 cm. In 2013, Bangalow artist Mahala Magins undertook an artist residency at the Baer Arts Center in Skagafjordur, Iceland. It was an experience that changed her painting, so that when she returned to Australia she felt the influences everywhere. The transformation that took place connects to a different way of seeing and exists in a purist’s pursuit of Abstraction and Painting. Put simply, Magins found a new “template” for thinking about painting, although this word denies space for the nuances that are integral to her work. Ultimately, what the trip did was provide her with a place to soak in the idea of being an artist, giving her conviction that she is a Painter. Exhibition to be opened by Brett Adlington, Director, Lismore Regional Gallery. Mahala Magins will be donating 20% of all profits from sales of artwork in this exhibition to Breast Cancer Australia. Excerpt from ‘Post Iceland’ Essay 2015, Kezia Geddes Curator Lismore Regional Gallery. Text courtesy of the Artist and Lismore Regional Gallery. All studio photographs by Andrew McDonald. Sydney painter Guy Maestri won the Archibald Prize in 2009, and has now been announced a 2017 Wynne Prize Finalist. He chats to BAM about his nomination, and his residency at the Margaret Olley Centre earlier this year. BAM. Congratulations on being a Wynne Prize Finalist. Please tell us about Self Portrait for Posterity. Maestri. With these works, I am playing with the idea of the heroic classical bust and questioning what use there is in leaving a lasting reproduction of my own image for future generations. These sculptures are originally made in clay and then cast in bronze and painted. So they are very permanent, but appear malleable and ephemeral. Guy Maestri, Self portrait (for posterity) 2017, bronze, 60.0 x 24.0 x 40.0 cm. Courtesy of the artist and Jan Murphy Gallery, Brisbane. BAM. What were highlights of your residency at the Margaret Olley Centre? Maestri. It was a privilege to be there, looking over that magnificent valley to Wollumbin in the distance, and to have such access to the gallery and a great studio to live and work in. I live in the heart of Sydney, so that in itself was a highlight. But I originally went there to investigate the surrounding area and make landscape work about it, however, I was inevitably drawn to the incredible recreation of Margaret Olley's home and studio. And with access to that space and permission to borrow objects to paint from, my focus shifted to these precious things, and to making intimate works about them. Echo installation. Courtesy of the artist and Jan Murphy Gallery, Brisbane. BAM. Your exhibition Echo recently closed at the Tweed Regional Gallery. What was the process of developing the concept, and choosing the pieces for the show? Maestri. The show became all about objects and their meaning, and also intimate space. I knew the exhibiting space that I would be using and it is this beautifully dark, quiet gallery space with dark grey walls and museum quality lighting. This had a great influence on the work I made, and on the pieces I chose to exhibit. I wanted it to feel like a museum, with relics and documents. I became interested in the flowers in Margaret's house, and of course the only ones remaining are her plastic ones, but what does it matter when you're making paintings of them? They become another form of reproduction anyway, but also an extension. I also thought a lot about my own grandmother's house, and what remained after she was gone, and the things I now have and cherish from that home. Everyday things with huge personal value to me. And so the show became about preservation too. And reflection. And of course, about painting. The joy of painting. Reinvigorated in me from being in Olley's world. Robyn Sweaney has been announced a Finalist in the 2017 Wynne Prize at the Art Gallery of New South Wales. "Time and tide is from a series of paintings that I am currently working on about the Australian coastal landscape. These paintings are about time past and the promise of slowing down in the future; the anticipation, contemplation, sunlight and shadows, still salt air and silent static moments. Time and tide 2017, acrylic on linen, 40 x 50 cm. Image courtesy Anthea Polson Art. "We were delighted to host Robyn's Fade to Blue exhibition in 2016 which formed part of this body of work," said Anthea Polson Art, on the Gold Coast. "Robyn is extremely accomplished and throughout her career has won or been a finalist in a significant number of prestigious Australian art prizes. We encourage you to consider Robyn for your own collection." Lone Goat Gallery in Byron will soon present emerging Northern Rivers artist Emily Imeson. Emily Imeson's exhibition Experienced Landscapes is the result of a painting led inquiry that investigates the diversity of environments around regional NSW, and involved journeying to Tenterfield, Tamworth, Hill End, Bathurst, and Nymboida. Emily is the recipient of an Arts NSW Young Regional Artist Scholarship, enabling her to explore regional NSW landscapes and connect with established artists and art foundations. Experienced Landscapes presents the current stage of Emily’s ongoing investigation. Emily will continue her research and travels throughout NSW until mid-2018. “Growing up in regional NSW I have developed a deep appreciation for Australia’s ‘great outdoors’ and am intrigued by nature. I am determined to mature these values into a comprehensive understanding of the natural world, articulated with brush marks and colours,” says Imeson. Utilising both en plein air painting techniques and studio work, Emily’s arts practice documents her experience of being in the world. “Methods of embodiment, observations, and documentation, have created endless inspiration and guide new ways to re-connect with the land. Spending time in one place allows a truth to reveal itself; textures, colours, flora, and fauna are uncovered. Understanding these elements in multiple landscapes has allowed me to create and share a contemporary archive of regional NSW," she says. "The project aims to develop images that push beyond the desire to create a visual sameness, encouraging a confidence to trust idiosyncratic mark making. I recreate and redefine the landscape as perceived by engagement. 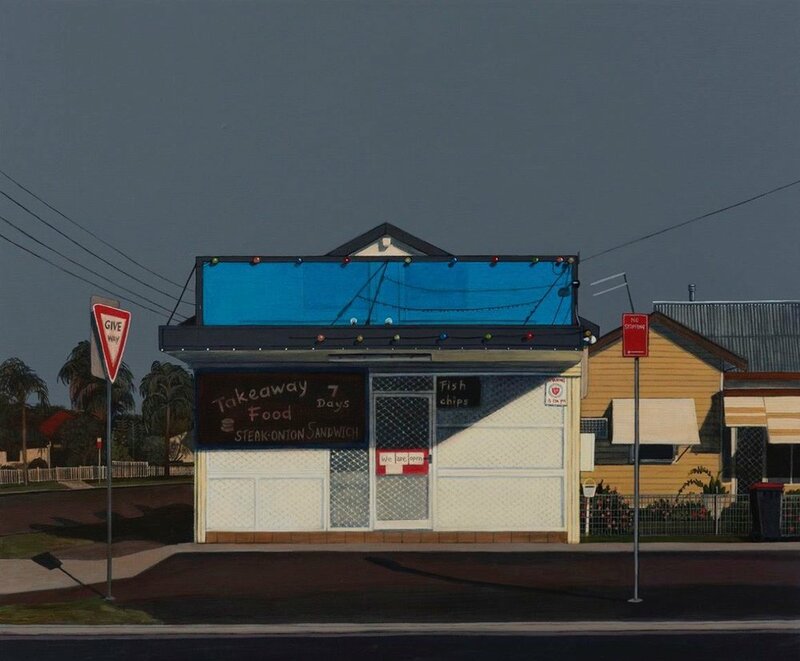 These paintings search to describe Australian geographical identities, and the constant changes of nature - moving away from the representational, heading towards an embodied form of art making,” says Imeson. 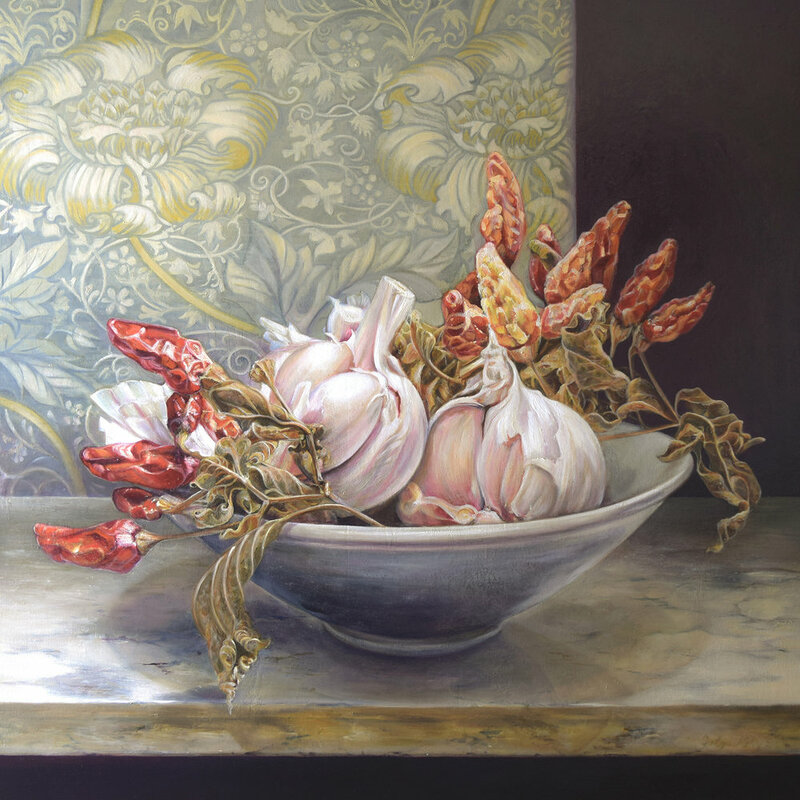 Robyn Sweaney has a new body of work opening at Arthouse Gallery in Sydney next month. The show, The summer that was, will run 26 July – 12 August. The practice of Robyn Sweaney excavates the complexities of Australian identity and place by responding to the suburban mundane of rural environments. Tightly refined homes and streetscapes function as repositories of identity - aesthetic incarnations of the belief structures influencing human behaviours on emotional, intellectual and spiritual levels. The Summer that was explores the psychological currency of the artist’s often‐annual pilgrimage to Victoria, where she recently spent the summer reconnecting with the coastal landscape that she grew up in. Historically, pilgrimage journeys have been taken for spiritual and cultural reasons, and in our contemporary technological era of widening urbanity and prolific digitisation this need to escape is sown in collective consciousness. "Even though a pilgrimage is usually voluntary, there can be also a strong urge or desire that feels involuntary," says the artist. "This deep motivation could be the need to externalise feelings that give meaning and structure to our lives." Sydney based artist Amanda Penrose Hart has won the $20,000 acquisitive 2017 Gallipoli Art Prize with her painting The Sphinx, Perpetual Peace (below) depicting the towering rocky outcrop at Gallipoli that the Anzacs called The Sphinx. Penrose Hart's winning work along with thirty eight finalist works will be on public exhibition at the Gallipoli Memorial Club in Sydney from April 20 - 28. 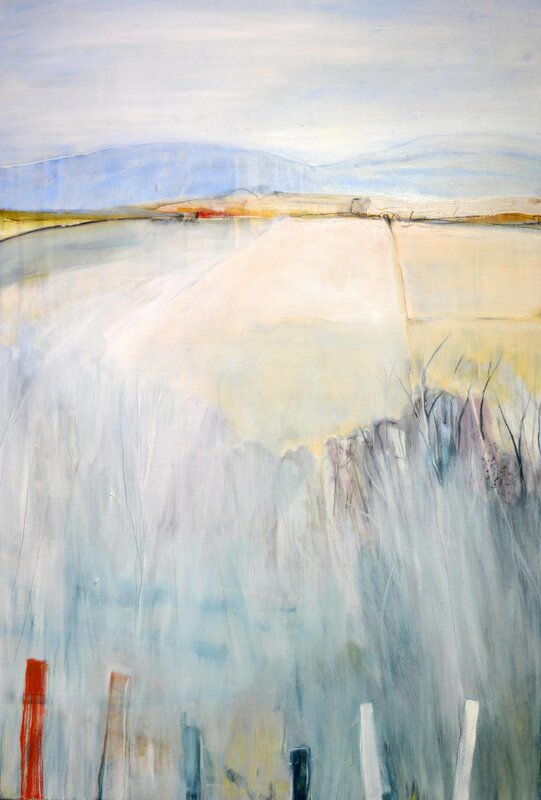 A respected Australian contemporary painter, Amanda Penrose Hart often paints landscapes in-situ. Born in Brisbane in 1963, she holds a Diploma of Fine Art from Queensland College of Art and a Bachelor of Visual Art from Griffith University. 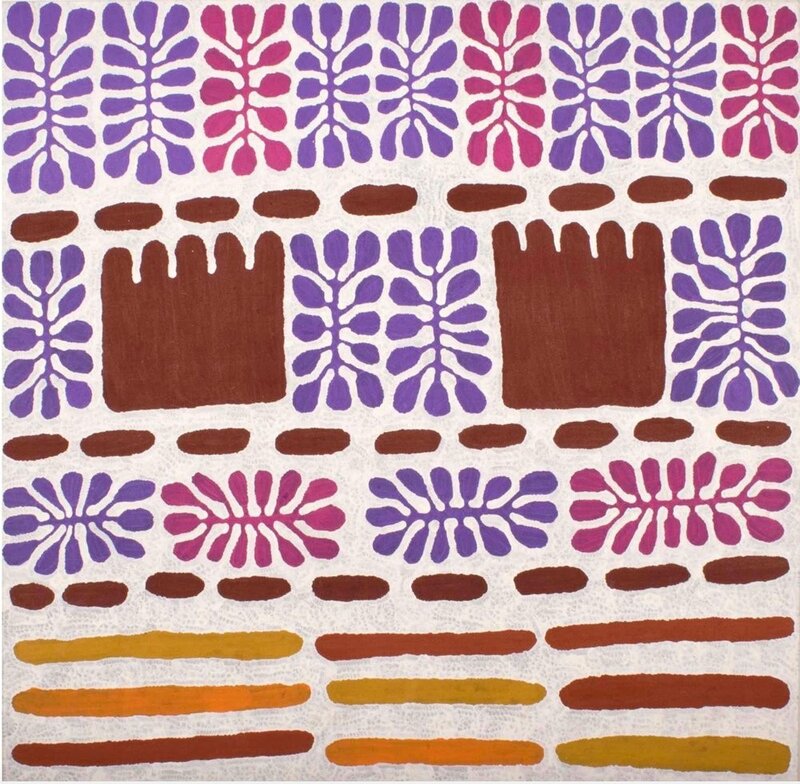 Represented by King St Gallery, her works are also included in public and private collections including Australian National Maritime Museum, Sydney; Bathurst Regional Art Gallery, NSW; Brisbane Polo Club; Gold Coast City Art Gallery; Hawkesbury Regional Art Gallery, NSW; Redcliff Regional Gallery, Qld; Taronga Park Zoo, Sydney; and University of Sydney Art Collection. Every year Australian, New Zealand and Turkish painters are invited to submit works to the Gallipoli Art Prize that reflect upon the themes loyalty, respect, love of country, courage and comradeship as expressed in the Gallipoli Club's 'creed'. Artists can interpret the broad themes in relation to any armed conflict in which Australia has been involved from 1915 up to the present day. The works do not need to depict warfare. Amanda Penrose Hart’s winning painting and the thirty eight 2017 finalist works will be on public display at the Gallipoli Memorial Club at Circular Quay in Sydney from Thursday 20 April to Friday 28 April (excluding public holiday), 10am -4pm. Tony Costa Murphy and Kirkpatrick No 2. Well-known and respected Ocean Shores pastel, oil and new mediums Artist Maria Paterson kicked off 2017 with a bang, being one of only 94 candidates selected from around the world for the Paris-based FID drawing competition, and she follows this with a three week art exhibition at Byron Bay’s Lone Goat Gallery, opening this Friday, April 21. Her style has changed along with her technique and use of a more monochromatic palette. “I can communicate more depth in my emotional responses to the environment around me, allowing more scope to create contrasts, emphasising the lights and darks. I use the materials in an intuitive sense, sometimes pulling apart and reconstructing the work, letting the work dictate direction,” she says. Joining her at Lone Goat Gallery is fellow artist Jay Foley, who works with paint and printmaking mediums, and is known for his printmaking workshops at the Tweed Gallery, where he says he finds inspiration and enjoyment in the very process of feeding other people’s creatively. “It’s an inspirational, and yet humbling experience,” he says, having taken the decision to stop teaching and focus on creating his own exhibition work. Jay Foley’s inspiration comes from tending his rural garden. “My sense of place here on the North Coast is my inspiration. Home is my studio. The gardens and orchard are like a love story that I then record. It nourishes my soul”. Having taught visual arts in high school for 22 years, Jay exchanged inspiration with his students. 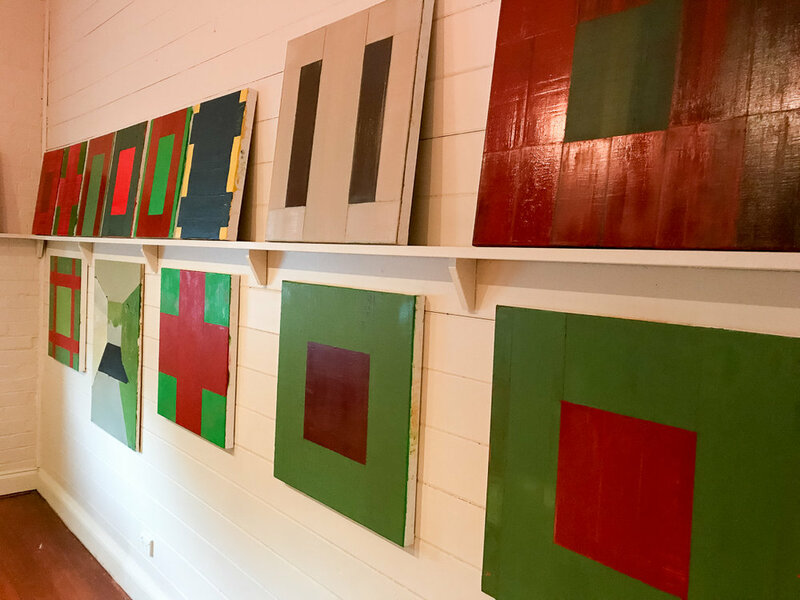 Now retired, he sometimes teaches adults at Tweed Gallery, in the sense that the tradition of teaching means transmission, reception and adaptation in learning. Sense of place is the common thread that weaves through Maria Paterson and Jay Foley’s art works in this exhibition Between. What is and what is imagined - evoking the thoughts and feelings of the artists using a variety of mediums and techniques such as paint, drawing and collaborative printmaking. View more of Maria Paterson's work here.